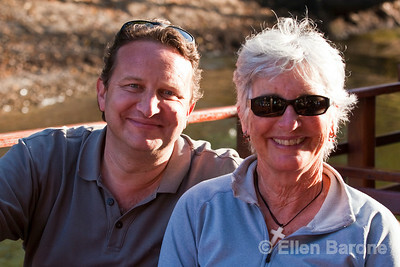 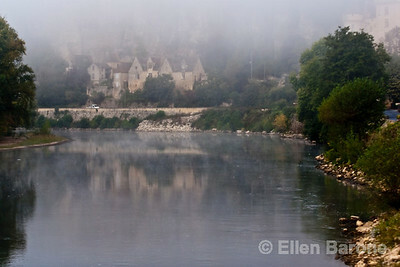 Wayfarers Michele Priest and Scott Edmondson, Dordogne, France. 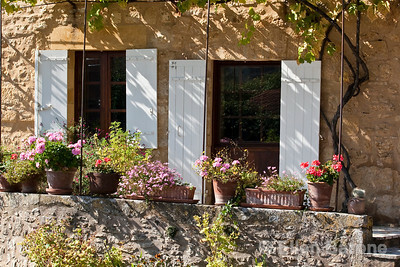 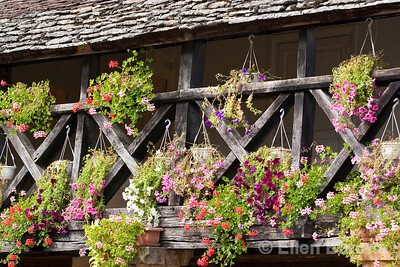 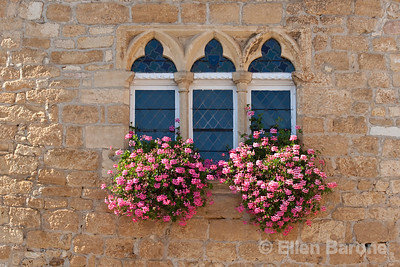 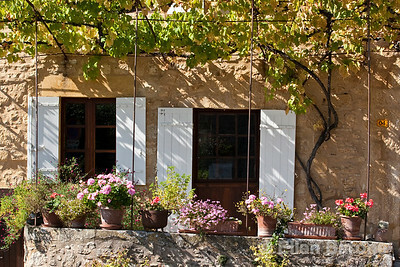 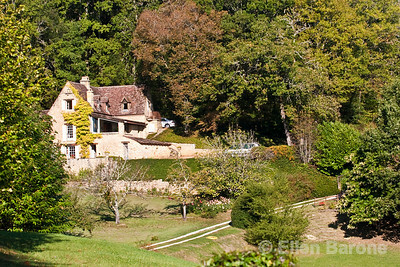 Country home, Dordogne River valley, France. 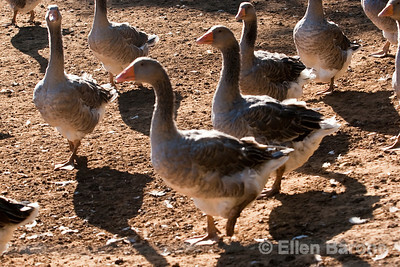 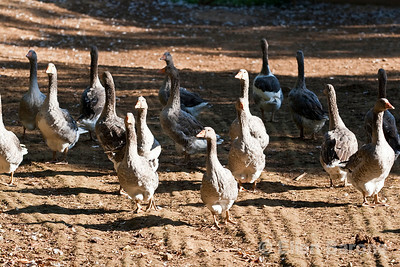 Geese, Dordogne River Valley, France. 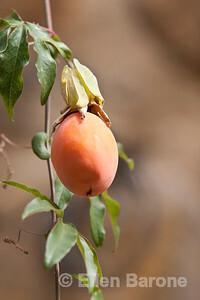 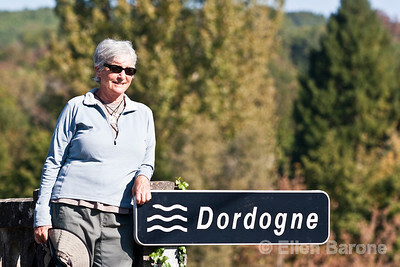 Wayfarer Eve Jursch, Dordogne, France. 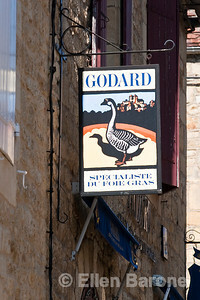 The Dordogne region is famous for its foie gras, Godard sign, Domme, France. 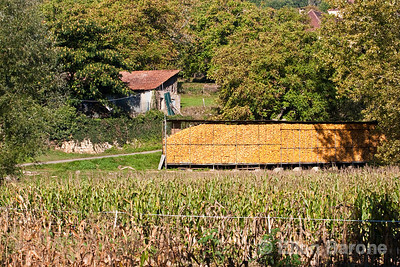 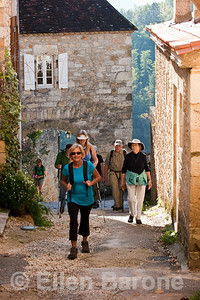 Wayfarers Judy Allpress and Mike Kahn, Domme, France. 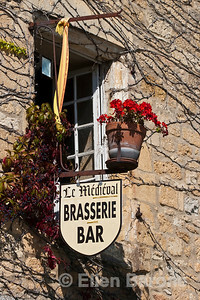 Le Medieval Brasserie Bar, Domme, France. 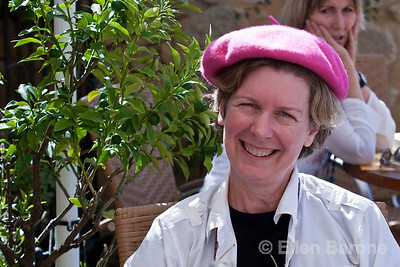 Wayfarer sporting a new beret, Domme, France. 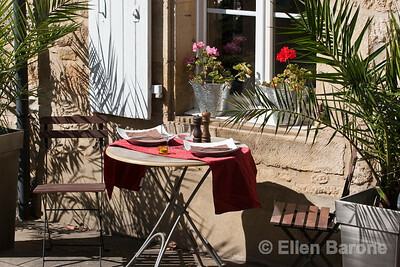 Cafe table, Restaurant la Flambee, Domme, France. 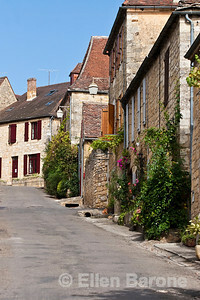 Village street scene, Domme, France. 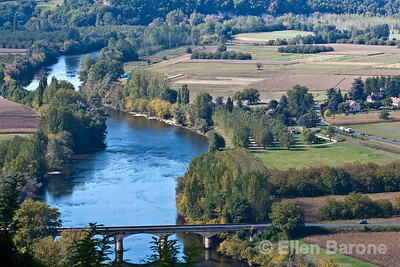 Panoramic view of the Dordogne River valley, Domme, France. 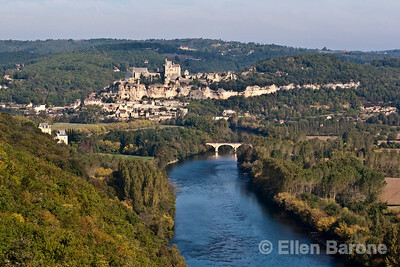 Tourists take in the panoramic view of the Dordogne River valley, Domme, France. 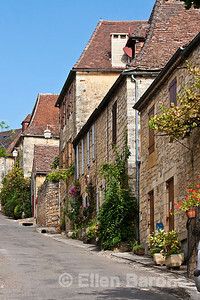 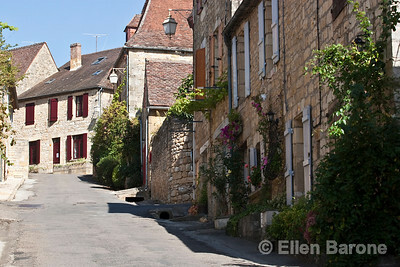 A lovely village street in Domme, France. 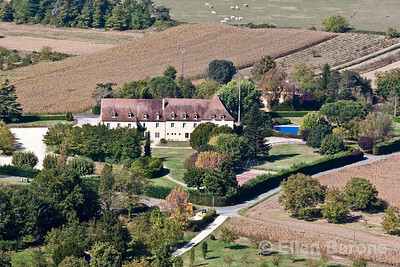 A tidy country home near Domme, France. 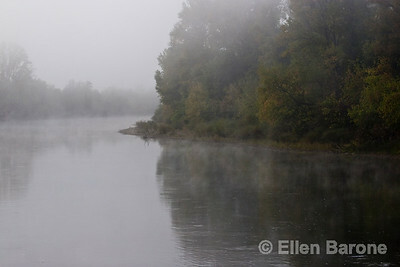 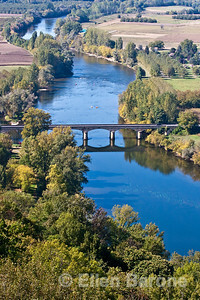 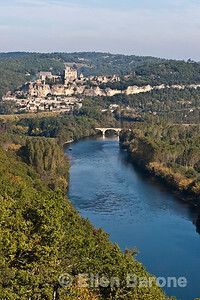 Dordogne River valley. 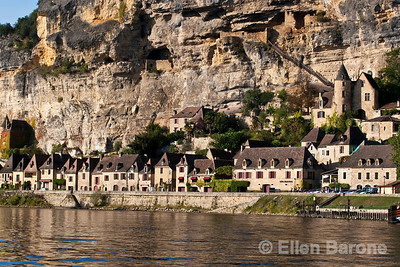 The cliffside village of la Roque Gageac, Dordogne River, France. 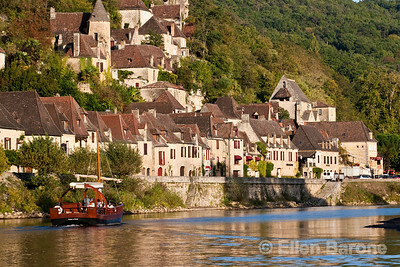 Sightseeing river boat and the cliffside village of la Roque Gageac, Dordogne River, France. 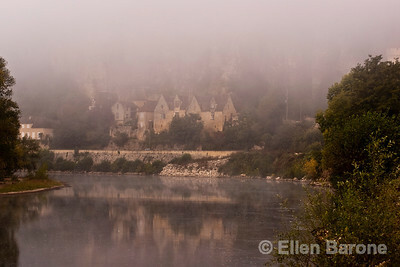 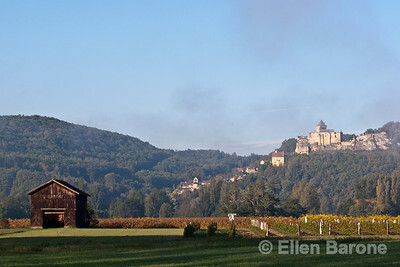 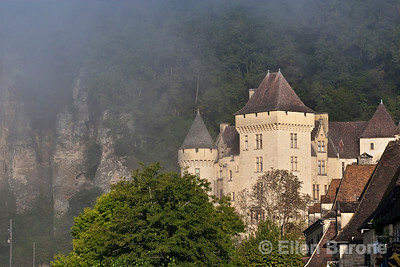 Morning mist shrouds a lovely chateau at la Roque Gageac, France. 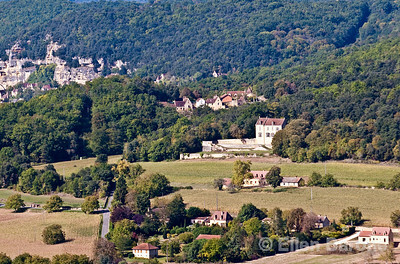 Farmland and barn with hilltop Castelnaud in the distance, near la Roque Gageac, France. 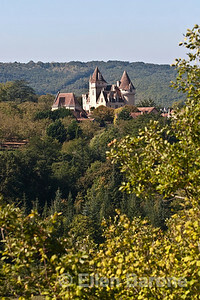 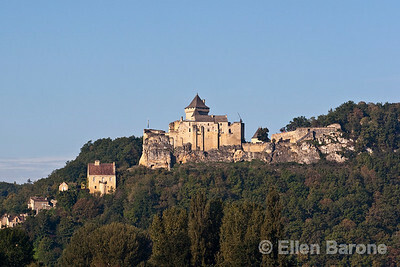 The majestic Castlenaud, the largest and best restored of the region's castles, Dordogne River valley, France. 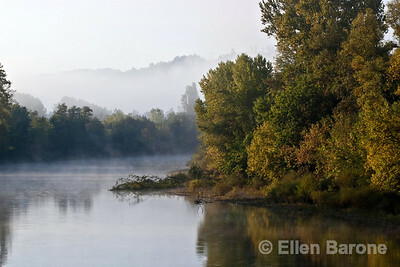 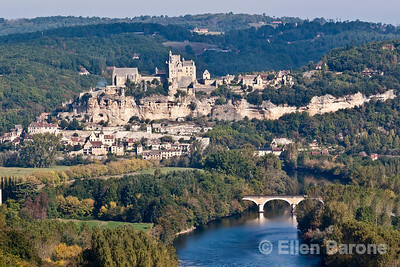 A panoramic view of the Dordogne River valley as scene from Castlenaud, France. 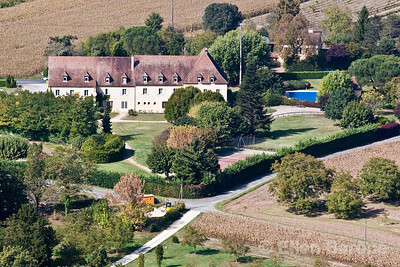 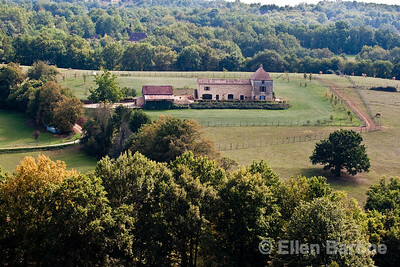 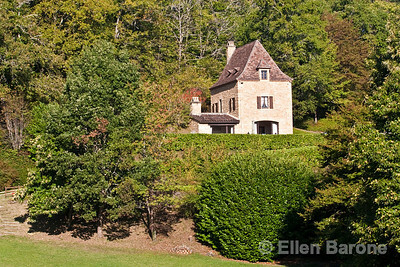 Les Milandes, former home of the late American performer Josephine Baker, Dordogne River valley, France. 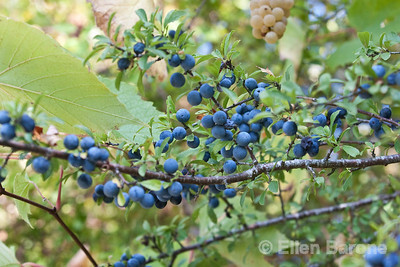 Wild blueberries, Dordogne River valley, France.